After 20 years’ experience working in a variety of sales and management roles in the plumbing and mortgage industries, Jacqui Fraser entered the real estate industry in 2007 and has never looked back. Being a “people person” this is a career move Jacqui is thoroughly enjoying and believes that forging strong client working relationships based on responding to clients’ needs are of the utmost importance. She is passionate about real estate and loves the challenge of being involved in vital and important decisions and prides herself on her negotiation and communication skills and her honest and professional approach. 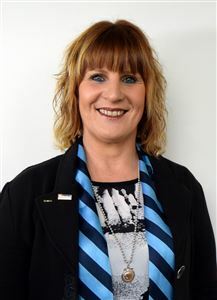 Backed by the Harcourts brand, systems and support, Jacqui is fast establishing an excellent reputation and a growing client base in the Timaru area where she specialises in residential/lifestyle real estate marketing and sales. Jacqui appreciates that all clients have different needs and she has the skills, resources and flexibility to customise her service to ensure her clients achieve the best possible results. A “local” to Timaru, Jacqui is married to Mark and has three sons – Cameron, Samuel and Mitchell who keep her busy following and supporting rugby, soccer, rowing, tap-dancing and music. Her interests include going to the movies, cross stitch, reading and food. Jacqui is also involved with several organisations – Roncalli PTA, Sacred Heart Parish Council, Roncalli Rowing Committee and Timaru Rowing. If you want to have an enjoyable and successful real estate experience with someone you can trust, who will make the process of buying or selling property as stress-free as possible, then talk to Jacqui about how she can help you to achieve your real estate goals. Let her enthusiasm for exceeding customer service expectations work for you now. Do You Love Victorian Manors?